In today's post, I will tell you about an amazing one-of-a-kind experience that we highly recommend to families in the DFW metro - a sleepover at the Perot Museum! My family considers this event to be the ultimate childhood memory! Let me share the schedule and a few photos from our recent experience. 7:30pm Welcome to your sleepover adventure! My husband and son arrived around 7:00pm and were easily able to find parking. It was convenient to park right next to the museum, especially since they had to carry their sleeping bags, change of clothing, and toothbrushes. My husband commented that the check-in was very nice and well organized. The staff members at the Perot Museum are always seem so enthusiastic to be there. The next activity was a family-friendly movie. 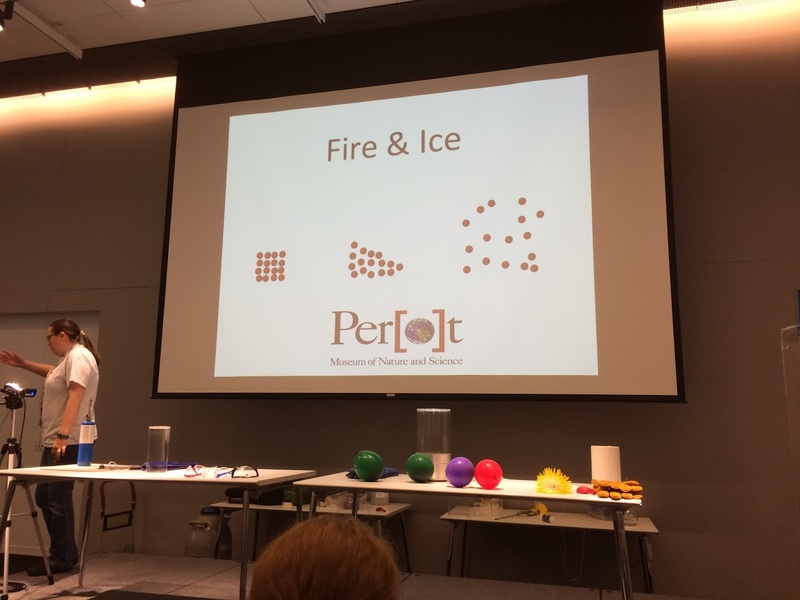 After the movie, they attended a session with exciting science experiments. For instance, we were able to see an exciting Hydrogen explosion and liquid Nitrogen in action. After the live science experiments, my husband and son explored the museum. They visited and experienced everything from hands-on exhibits with robots to races with virtual cheetahs and dinosaurs. My husband and son still rave about all of the amazing interactive exhibits. 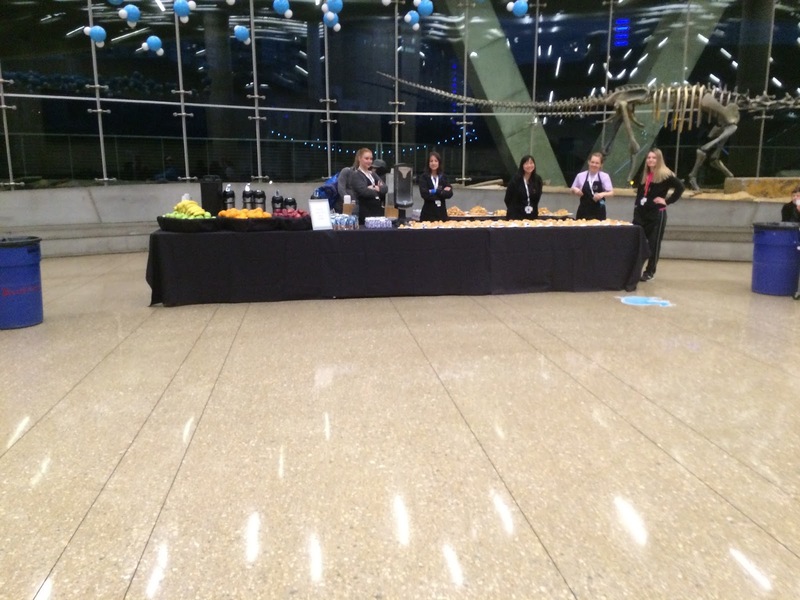 They were busy the entire time with the exception of a snack break that was included with the event. My son loved that he scored gummy dinosaurs for a snack! Finally, they staked their claim on where to place their sleeping bags. 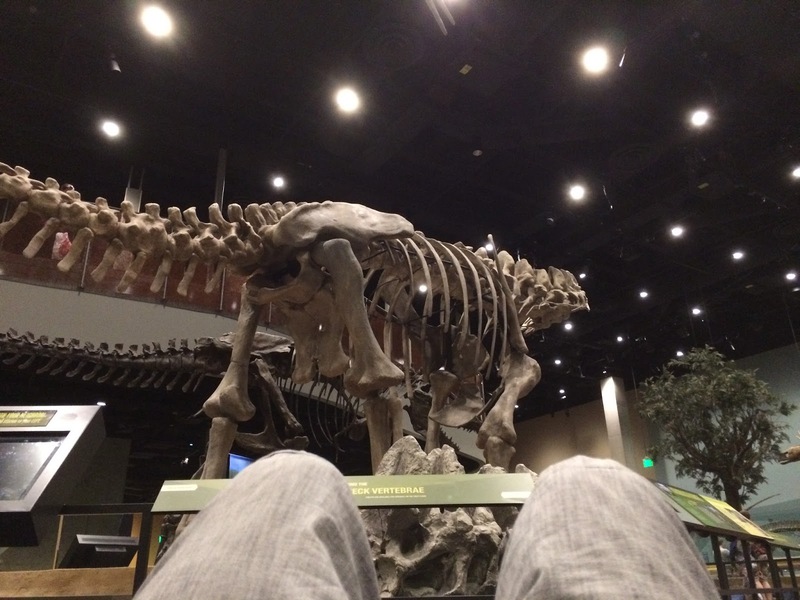 They slept under a pterodactyl and across from an Alamosaurus! Isn't that truly amazing? We laugh because my husband woke up in the middle of the night and flinched because he forgot where he was. They loved waking up in such a unique and immersive environment. 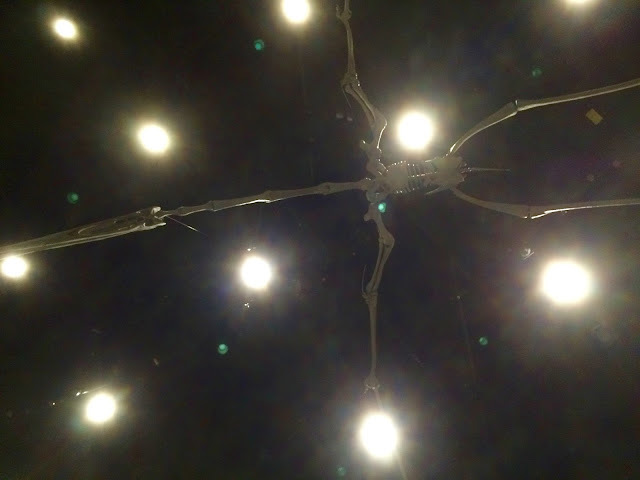 If you look past the lights in the photo below, you'll notice that this is an actual pterodactyl skeleton! Finally, they enjoyed breakfast at the museum and packed up their sleeping bags to head home. This is an iconic part of my son's childhood and is a memory that our family will always treasure. This is a must-do activity for all DFW families and visitors! Visit the Perot Museum "Doze with the Dinosaurs" website to book tickets for your family to experience this trendy sleepover!